The Halloween season is a wonderful time. Leaves are changing colors. The air starts to feel colder. The nights are longer. It's all just fantastic. And to top it all off, Halloween itself is a holiday centered around the concept of fear. Just the thought of that is amazing on its own. Other holidays focus on love, honor, purity, and other happy and fluffy stuff. But Halloween is different. It's special. Halloween is a great time for video games too. Horror games are a pretty big part of the industry. Entire franchises and companies depend on them. Games like Resident Evil and Silent Hill have become household names. We all know them. We've all seen them. However, not all of us have played them. It can be fun to be scared. Unfortunately, it's not fun for everyone. A lot of people hate it with a passion and avoid it at all cost. However, it's not fair that they have to miss out on the Halloween festivities. To fix that, we've made a list of games that represent the season without scaring your pants off. 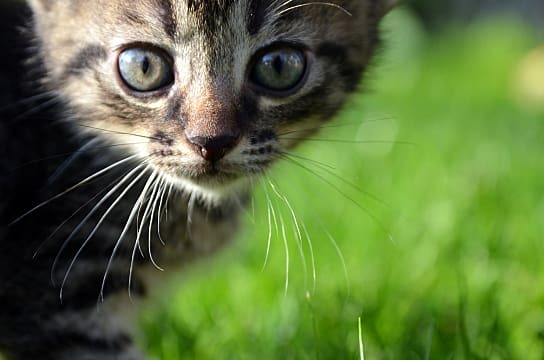 Don't worry, scaredy cats, these games are safe to play. Costume Quest is a clear choice. The game was one of Double Fine's best titles before they started scamming money from their fans. It takes place on Halloween. Players take control of a group of trick-or-treaters as they get into all kinds of hi-jinks. There's no scary catch here. It's good, clean fun. One of the things that makes Costume Quest unique is that it is really imaginative. 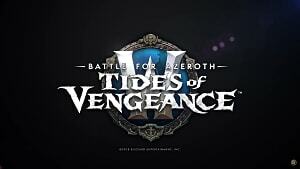 It has a turn based combat system that's simple to use, but it focuses on an interesting concept. During the fights, the kids take on the persona they are dressed as. What was a low-budget knight costume turns into a sparkling set of real armor. And, of course, unique abilities come with the costumes as well. 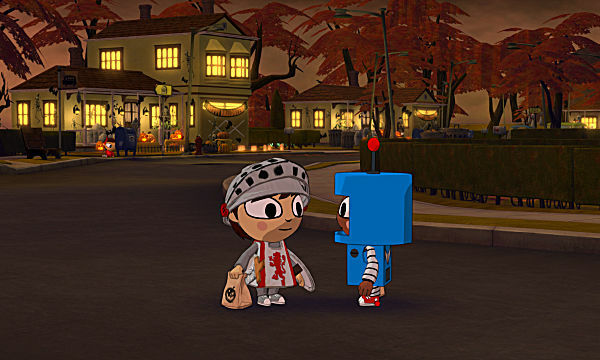 Costume Quest is a fun, Halloween-themed game with a lot of promise. It has that holiday feel without the terror. There are elements of exploration, quirky story, and funny dialog. Basically, the exact opposite of horror. Now we get into some games that turn up the scare factor. 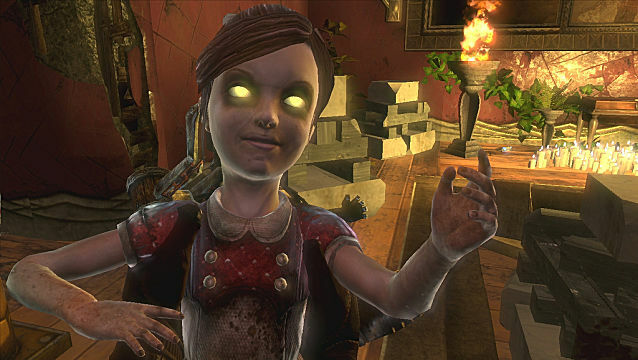 The original Bioshock is a creepy and unsettling experience. Players took control of a lone man as he struggles his way through horrific experiences at the bottom of the ocean. Though it isn't specifically a horror game, it has a lot of frightening moments and a tense atmosphere. One of the most horrifying moments is going up against hulking enemies in emotionless, deep sea diving suits. What makes the second one different is that players actually take control of one of those hulking, diving suit wearing, monstrosities. This change shifts the entire dynamic. Instead of being a fragile guy surrounded by danger, you pretty much have nothing to fear. You are the thing to fear. This way, you can safely experience all the creepiness that the city of Rapture offers without being scared out of your wits. With the fear taken out, players are free to experience all the really cool aspects of the Bioshock world. The plasmid powers and collection of weapons are fun to play with. But the biggest plus is getting a first hand look at the intricate lore of Rapture without being distracted by all of that pants-wetting. This time, the name of the game is cooperation. It's much harder to be terrified when you're sharing the experience with your good friends. 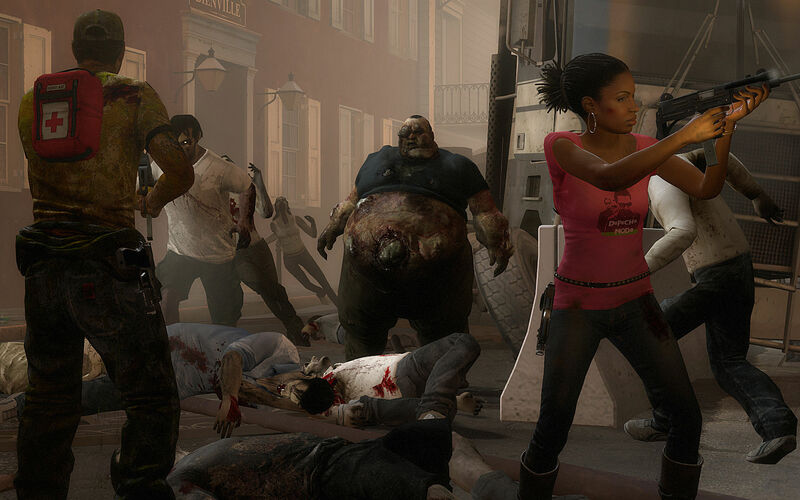 The Left 4 Dead franchise pits up to four players against hordes of the undead. However, the zombies spend less time spooking you than they do running at you stark raving mad. Left 4 Dead is absolutely a shooter before it's any kind of horror title. It has spooky music and tense situations, but nothing really terrifying happens. A creature or two may pop up to attack you, but it doesn't ever make you jump. And again, especially if you're playing with friends, it's hard to get all anxious while surrounded by three other allies helping you out. Pick Left 4 Dead 2 over the original. On top of having more complex levels and weaponry, it fully includes the first game's missions anyway. So you don't miss anything going for the sequel instead of the first title. 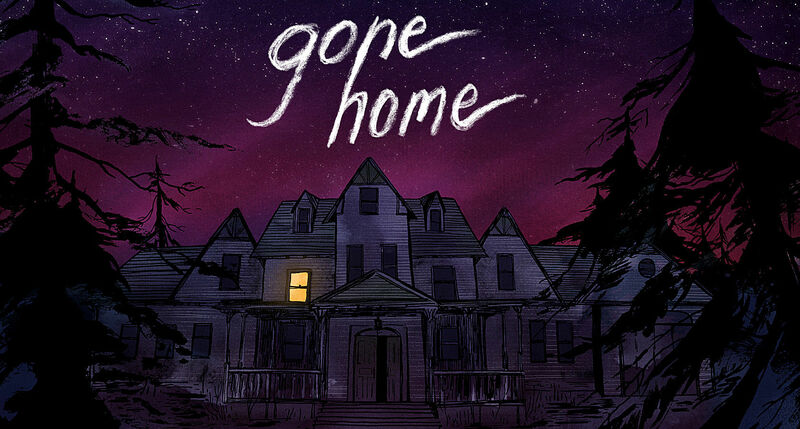 Gone Home is a special case. First of all, the less you know about it, the better. The mystery of the game is what holds your attention. Players take control of a college student who visits home to find it completely abandoned. The first piece of evidence you find is a cryptic note apologizing. The entire atmosphere and tone of the game is haunting and alluring at the same time. What makes Gone Home a great game for scaredy cats is that there are no cheap scares or anything like that. The game is centered around the mystery of what happened and where everybody has gone. Also, you are free to explore at your own pace. When things get a bit too tense, feel free to stop and take a breath. But you won't have trouble picking up and moving on, because the game itself is phenomenal. 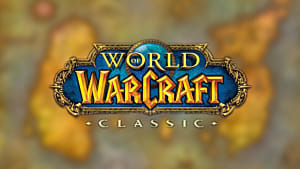 I know this is a game company and not a single game, but hear me out. 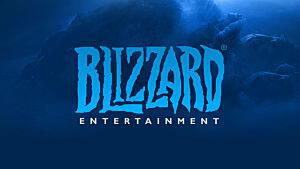 Blizzard is really big on including holiday events in their games. Regardless of your game of choice, there is likely some kind of Halloween celebration going on. So whether your preference lies in MOBAs, MMOs, or team-based FPSs, you'll find some Halloween content waiting for you. 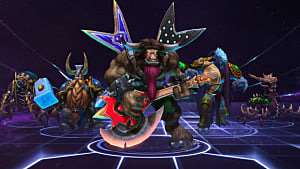 Heroes of the Storm has their Hallow's End event complete with character skins. 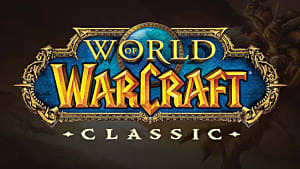 World of Warcraft also has their own Hallow's End celebration. 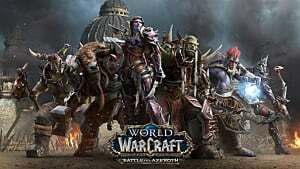 WoW takes things to a whole new level, though. 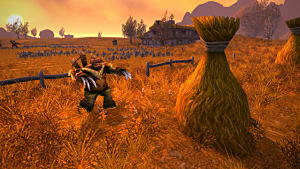 The whole of Azeroth changes to support a huge, seasonal celebration. Players can find themselves bobbing for apples, trick-or-treating, and taking part in all kinds of Halloween events. 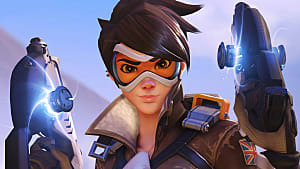 This year, Overwatch joins the party. Being its first year, it is uncertain what the season will bring. However, the Summer Games brought a new game mode and Olympic-themed loot boxes. 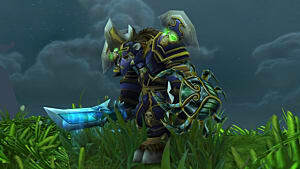 These included unique skins and other goodies that could only be earned during the event. And, of course, they all had something to do with the Olympic theme. Surely, something similar awaits Halloween. 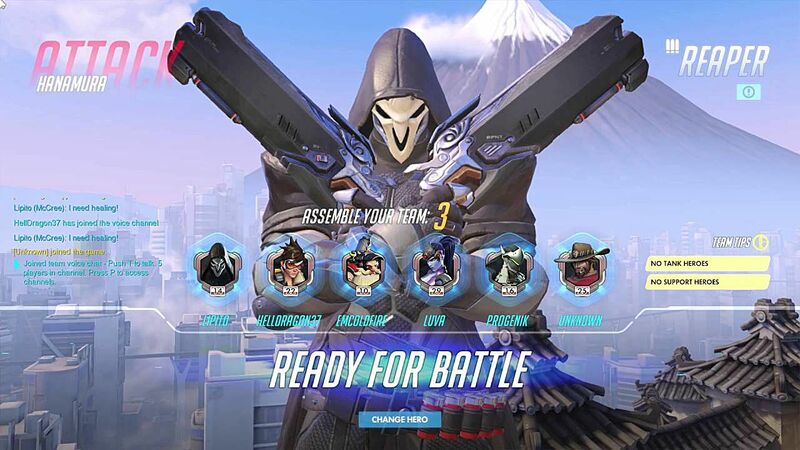 Regardless of your taste, Blizzard has a scare-free Halloween experience waiting for you. When you sit down and really look, there are plenty of Halloween games for scaredy cats. It's true that fear junkies have the monopoly on the games out there, but there are plenty of options out there for all of us. And who knows? Maybe playing enough of these games will give you the courage to play something scary next year. Probably not, but maybe.